You’re thinking about traveling to Morocco and you are wondering whether or not you should add that trip to the Sahara dunes. The pictures look fantastic. You’ve always wanted to ride a camel. Camping out in the middle of the dunes under millions of stars – how could you top that? Yet, there are people who have concerns about the safety of these overnight stays in the desert. Some people think that the desert is remote near Algeria, where attacks have been in the past. Other people are concerned about “rebels.” Others have heard horror stories about those leading the desert camels taking them on the trek and then charging them more money once out in the dunes. Some, when researching the overall safety of Morocco, find this disconcerting paragraph from the United States Department of State. The Western Sahara is an area where the legal status of the territory and the issue of its sovereignty remain unresolved. The area was long the site of armed conflict between Moroccan government forces and the POLISARIO Front, which continues to seek independence for the territory. However, a cease-fire has been fully in effect since 1991 in the UN-administered area. There are thousands of unexploded mines in the Western Sahara and in areas of Mauritania adjacent to the Western Saharan border. Exploding mines are occasionally reported, and they have caused death and injury. There have been sporadic reports of violence in the cities of Laayoune and Dakhla stemming from sporting events and from political demonstrations. Morocco claims sovereignty over the Western Sahara and closely monitors and controls access to the territory. There have been instances in which U.S. citizens suspected of being participants in political protests or of supporting NGOs that are critical of Moroccan policies have been expelled from, or not been allowed to enter, the Western Sahara. If you have never been to Morocco before, or don’t know much about the country, it is understandable that the given misguided concerns and the above paragraph would be enough to make you want to avoid the Sahara as much as possible. So, why do we believe that the Sahara is safe for travelers? To begin, our personal experience has told us this. In our 15 years of arranging custom design tours for over a thousand small groups, we have never had any issues with the safety of the desert. Even more personally, when I was a child in Morocco, our family used to go to the desert every Christmas for our vacation. Never once were we in danger of anything more serious than falling off a camel! Secondly, although it is understandable to confuse the Western Sahara and Sahara Desert, they are very different. The dunes that we usually recommend for our travelers the Erg Chebbi dunes, near Merzouga. They are in Southeastern Morocco and are very safe. There are no “rebels” in the area. This is not the area that is being discussed in the paragraph by the United States Department of State. 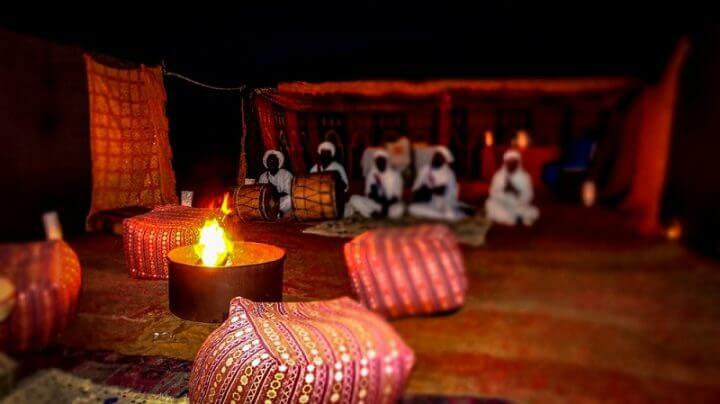 Third, the camps that we use for the Berber experience are associated with and run by hotels. 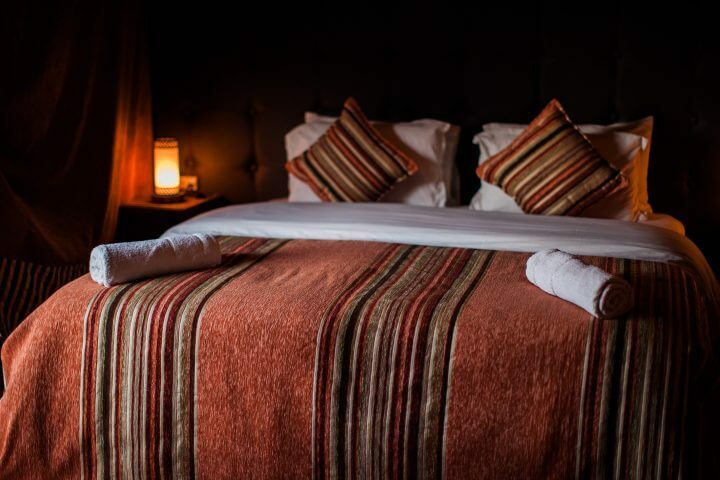 These hotels would not put their camp in a place that would endanger travelers. There will always be others at the camp who are familiar with the area. 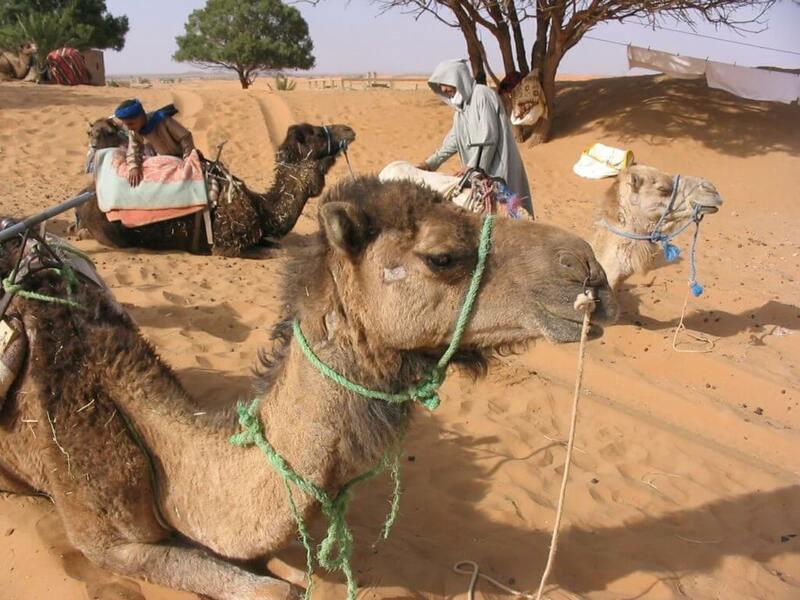 We also pay for every part of the camel excursion, so there is no danger of travelers been taken advantage of. Fourth, we have part of our team on the ground in Morocco who are constantly staying up to date on the safety and security of different areas in Morocco. They would be informed right away should any problems arise. In conclusion, we believe that desert excursions to Morocco are very safe and worthwhile. Add a trip to the desert today! It is often a highlight of our travelers’ experience in Morocco. For more information about the overall safety of Morocco: read our Is Morocco Safe post. For more information about how to get the most out of your trip to the Sahara: read our Ultimate Guide to The Sahara Desert.